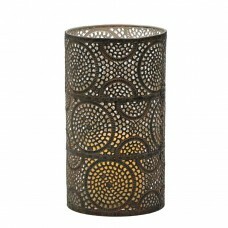 Beautiful, slender candle holder is a decorative and practical addition to your wall decor. 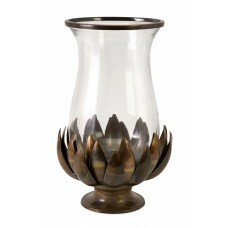 Works gr..
A burnished copper flower gracefully holds an hourglass hurricane embellished with sleek copper trim..
A flourish of style makes this Smoked Glass Cursive Glass Hurricane a real standout. 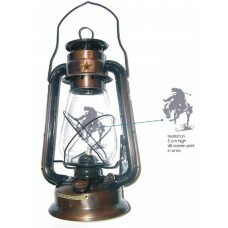 The black iron .. 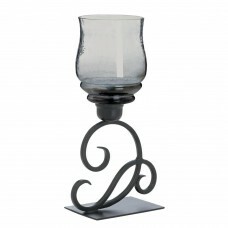 The Foreside Scroll Work Pillar Metal Hurricane is a fabulous addition to many decor styles. 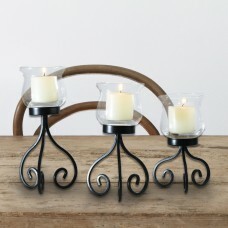 The las.. 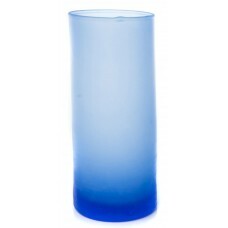 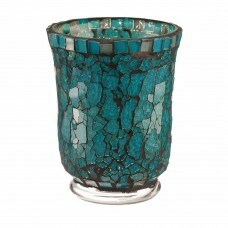 This blue mosaic glass hurricane candle holder can handle multiple width candles. 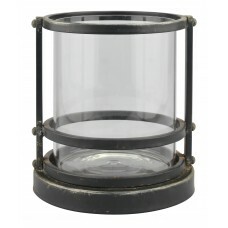 Looking for that e.. 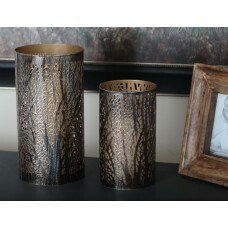 Displaying tree branch-inspired carvings, these gorgeous candleholders spark attention and glow with..
Alluring with its punctured details that create a geometrical pattern, this Geometric Metal Hurrican.. 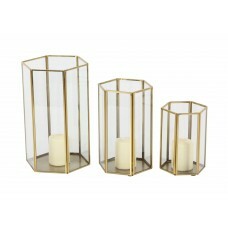 This Glass Hurricane is tinged glass hurricane lamp candle holder with round tapered rim cracked fin..
3 Piece Metal/Glass Hurricane Set, hexagonal prism-shaped frame made from iron, clear glass panels (..
Light up the night and challenge the stars with this rustic kerosene lamp. 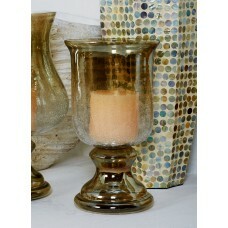 With an antique brass fin.. 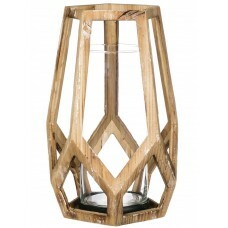 This unique wooden hurricane candle holder takes the geometry of the Pentagon to a whole new level. 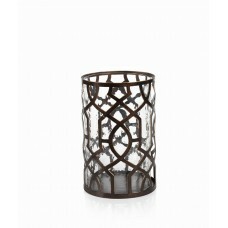 ..
Flipo Group Limited's hammered glass hurricane lamp adds a traditional silhouette to any mantel, she..
Rivet details with a black finish. 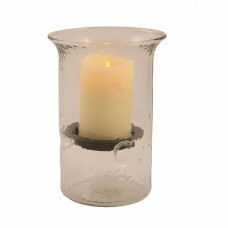 The hurricane can be used as a candle holder or a container to fi.. 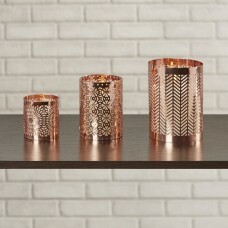 The most basic of all candle holders, the Cylindrical Glass Hurricane is the ideal size for a typica..